“It is time for the Executive Branch to take important and necessary steps to further isolate Maduro and make clear to the world his regime’s illegality, criminality, and depravity,” Rubio urged, in a letter addressed to Secretary of State Mike Pompeo and Treasury Secretary Steve Mnuchin. 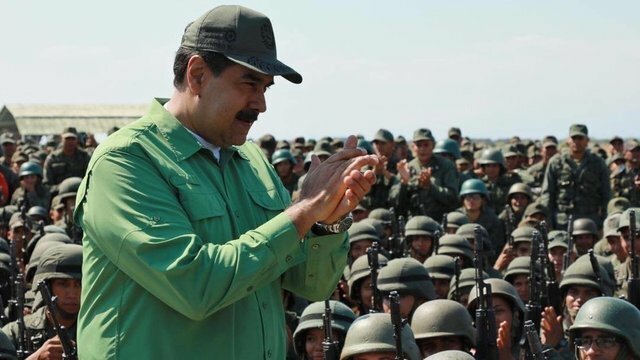 Despite the best efforts by the US and its allies to subjugate Venezuela, the army remains loyal to the Maduro government. The resolve of many Venezuelan citizens to support their elected leader, with arms if needed, also prevents the US-backed opposition leader Juan Guaido from easily taking power, Rubio believes. On Friday, the US once again tightened the noose around Venezuelan oil exports, sanctioning around three dozen tankers and two companies which the Treasury says are involved in transporting oil from Caracas to Cuba. At the same time, Washington has acknowledged that its diplomatic and economic pressure options are running dry. The US should mind their business. I think Trump is just bluffing to put pressure on Maduro. I do not believe that the United States will intervene in Venezuela in a military way. It's all about pressing for the government not to put its hands on Guaidó, but in what the United States blinks Maduro will put Guaidó in prison just as they did with Leopoldo López.